Read this interesting article from Tofugu, entitled "How Japanese gives birth to new languages," via this (ad-supported) link: http://j.gs/uxx. 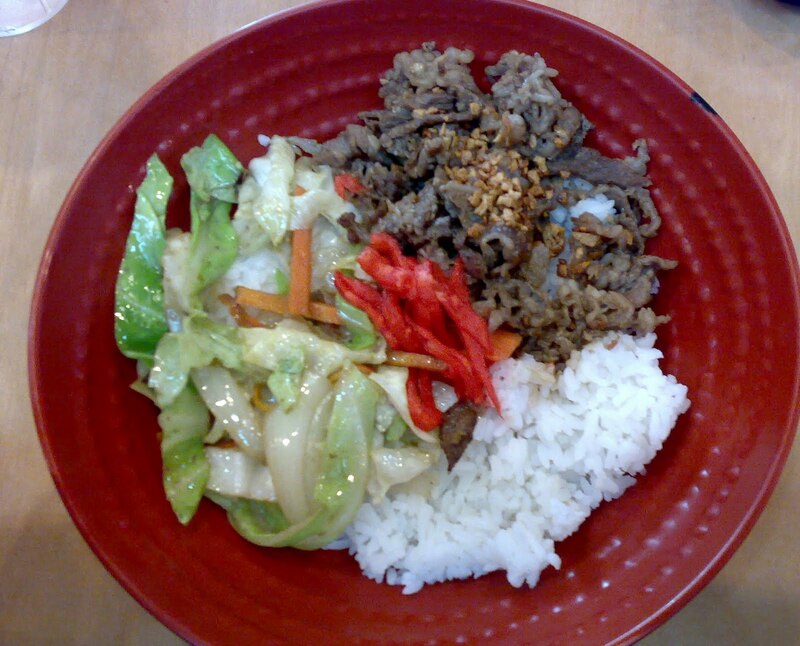 That article reminded me of the most popular "Japanese" fast-food chain in the Philippines, Tokyo Tokyo, and their Beef Misono (and now, even Tuna Misono). 2 years in and here are The Japan! Japan! Blog updated stats. I'm nearly at 6,000 pageviews for 266 posts (inclusive of 53 posts from my Japan blog version 1.0 from 2005, and of pageviews of those 53 posts since I copied them here). That's an average of more than 20 pageviews per post. Not bad. I think those articles are appropriately my top 5. Interesting though is that, while the "Welcome to Japan" series is understandably in the top 5, the other three posts are about food. It's just past lunch and I feel hungry again. Hmmm, this reminds me though that I should update the restaurants list in Atsugi, and Tokyo, respectively because some of these restaurants do not exist anymore. Anyway, my number 1 traffic source is Google Search. Interestingly, I found out that when you do a Yahoo! search for "Sayote in Japan," my blog article "Upo, green papaya, and sayote alternatives in Japan" is the number one search result, while in a Google search it is only the third result. Pageviews by Countries as of 19 April 2012. Courtesy of Blogger. It's very interesting that my blog has had the most visits from the US, and visits from the Philippines only rank 3rd, considering that my expected audience are Filipinos coming to Japan. But then, there are many Filipinos in the US, and maybe most of my traffic from the US are from Filipino-Americans. Or my Filipino-American relatives. Or, I would think there are many Americans who are very much interested in Japan, Japanese culture, and travelling to Japan, and they see my blog and look at it as a blog in English by a foreigner in Japan, and so they can relate. What surprised me the most though was the many visits from European countries. Of course, English might be spoken and understood in those European countries more than in other countries and it helps that my blog is in English. I did meet one German national who stayed in Japan for a few months as well, and I did visit the Netherlands for a week on official business, but I'm not sure if those two things have anything to do with the (small) traffic from those countries. Finally, the list also shows that, no, I'm not the only one visiting my own blog regularly just to increase my pageviews because I haven't been to the US nor use US-based proxy servers to look at my own blog. Haha. I've actually disabled that (i.e. counting of my pageviews in the stats), of course. But I guess Japan as a traffic source coming in as #2 and not #3 or lower is not much of a surprise. Anyway, these are very important stats, readily accessible through Blogger, and they give me good insights as to what things I can do to better improve and tailor my blog to my actual audience. Finally, it is also very interesting that I still have more visitors using Internet Explorer instead of Chrome. That has a ton of implications behind it. And, nearly a quarter of my visitors are using Macintosh computers and around 8% are on mobile devices. Very interesting. Pageviews by Operating Systems as of 19 April 2012. Courtesy of Blogger. Pageviews by Browsers as of 19 April 2012. Courtesy of Blogger. Once again, どうもありがとうございます to one and all. The Japan! Japan! Video Blog Episode #36 features our videos from our trip from Atsugi to Chidorigafuchi in Tokyo for some cherry blossom (sakura) viewing (hanami). It's over an hour long, because the cherry trees are just so nice to look at, plus there's just so many of them. If you want you can skip over the "intro" which features some along-the-train-route sights of Tokyo, and start at around the 10:30 mark to see sakura already. We also dropped by the Nippon Budoukan and the Yasukuni Shrine.